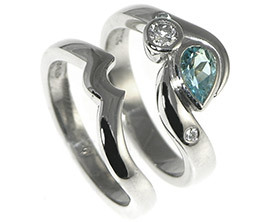 Kenny wanted to commission a unique engagement ring for Fiona that was inspired by a feather, which was Fiona’s favourite design motif.Kenny chose a brilliant cut 5.05mm aquamarine as the central gemstone as this was Fiona’s favourite gemstone; this was all around set in palladium, the feather motif in palladium wrapped around the central aquamarine.On the shoulders we pave set three black spinels to give the ring a vintage look and engraving was used around the band and on the feather shape itself. 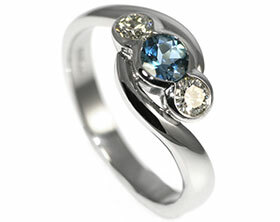 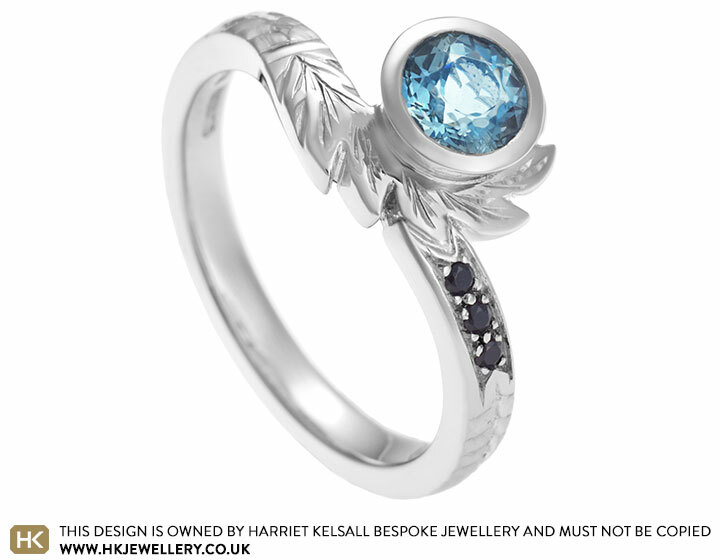 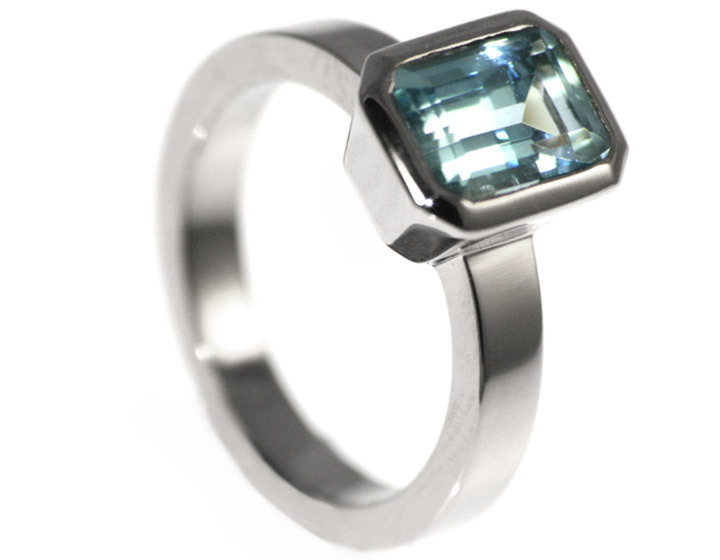 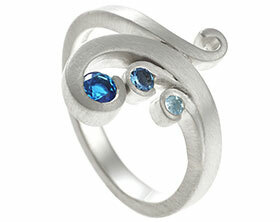 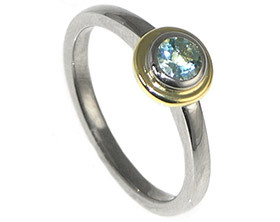 This ring was created in our workshop as a previous one-off commission. 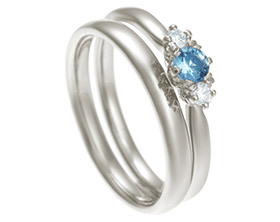 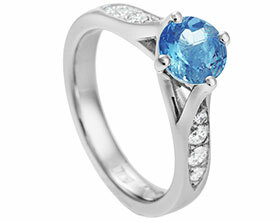 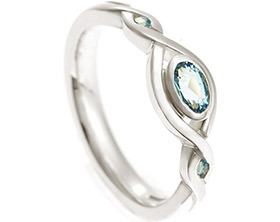 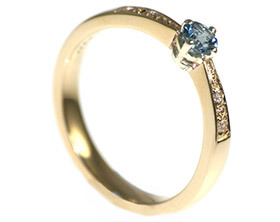 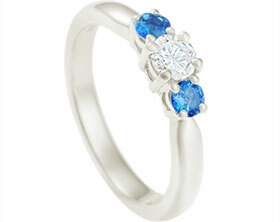 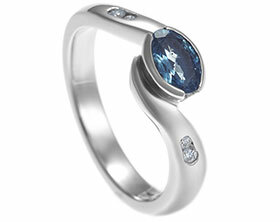 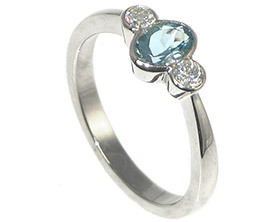 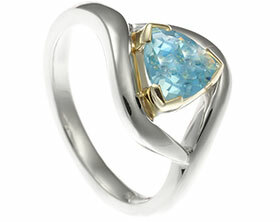 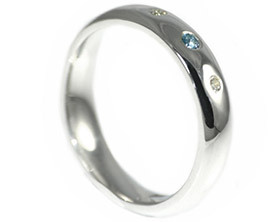 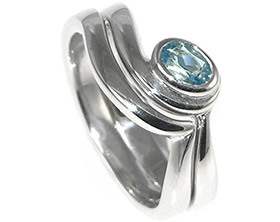 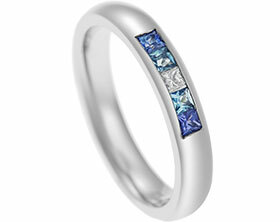 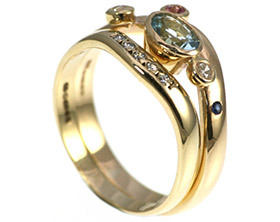 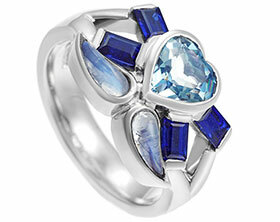 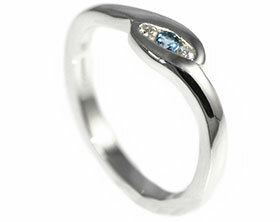 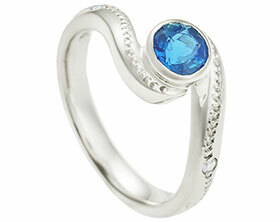 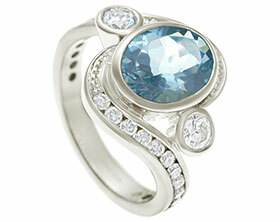 We'd be delighted to give you an estimate for your own unique ring based on this design. 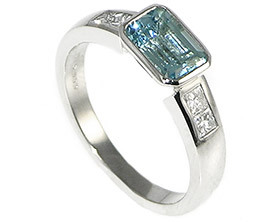 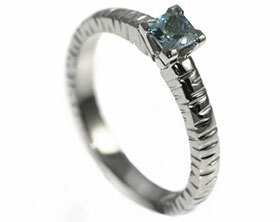 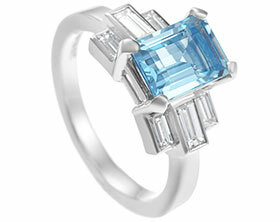 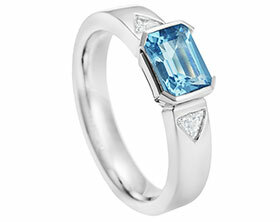 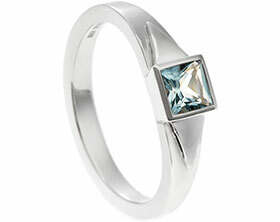 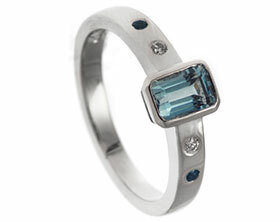 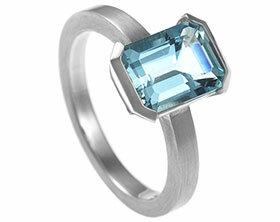 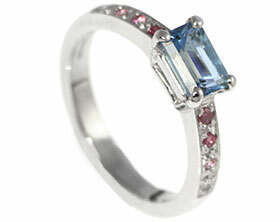 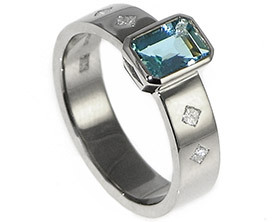 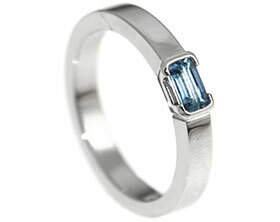 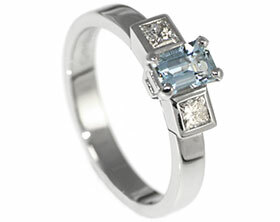 18ct White Gold emerald cut aquamarine engagement ring. 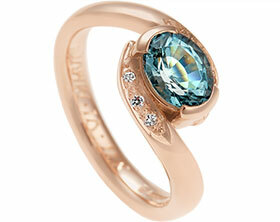 9ct white and 18ct rose gold detail and aquamarine engagement ring. 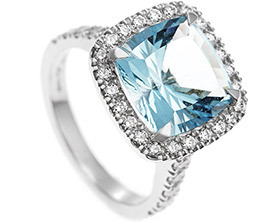 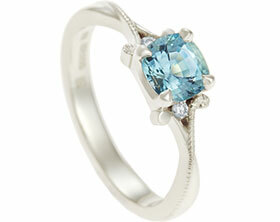 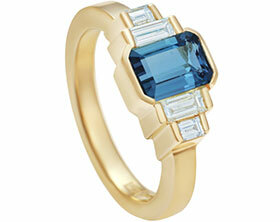 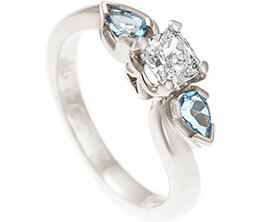 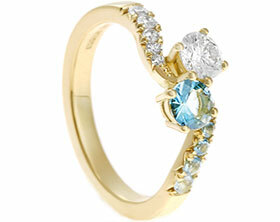 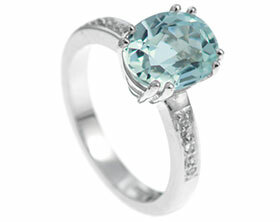 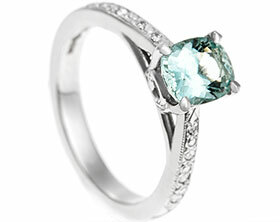 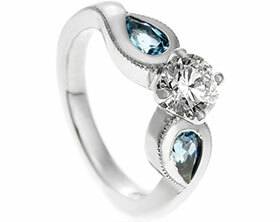 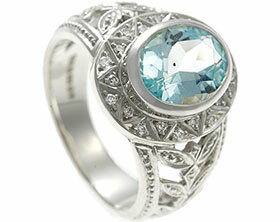 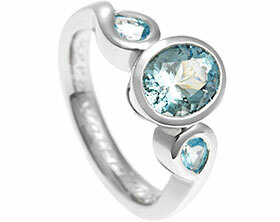 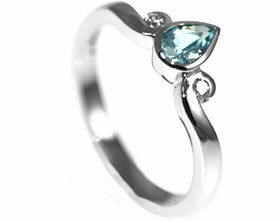 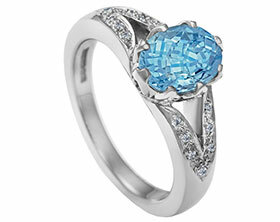 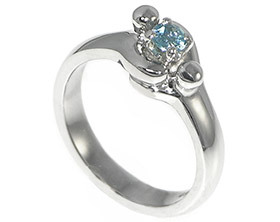 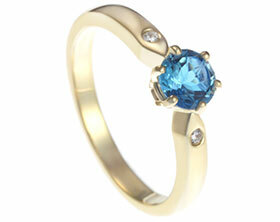 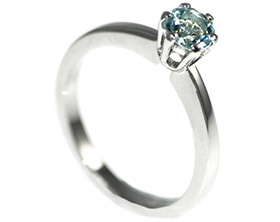 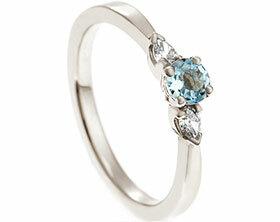 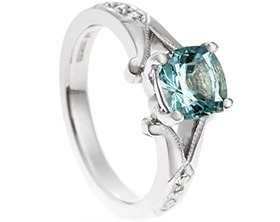 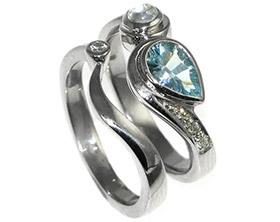 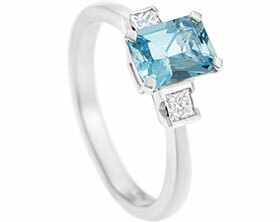 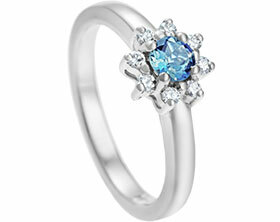 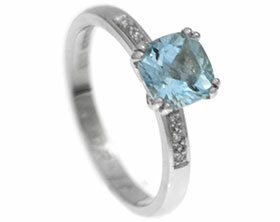 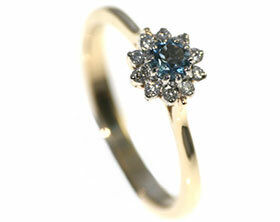 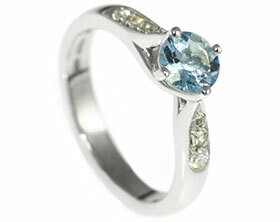 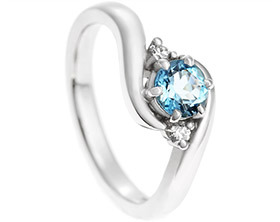 Aquamarine and diamond engagement ring inspired by the Eiffel tower.